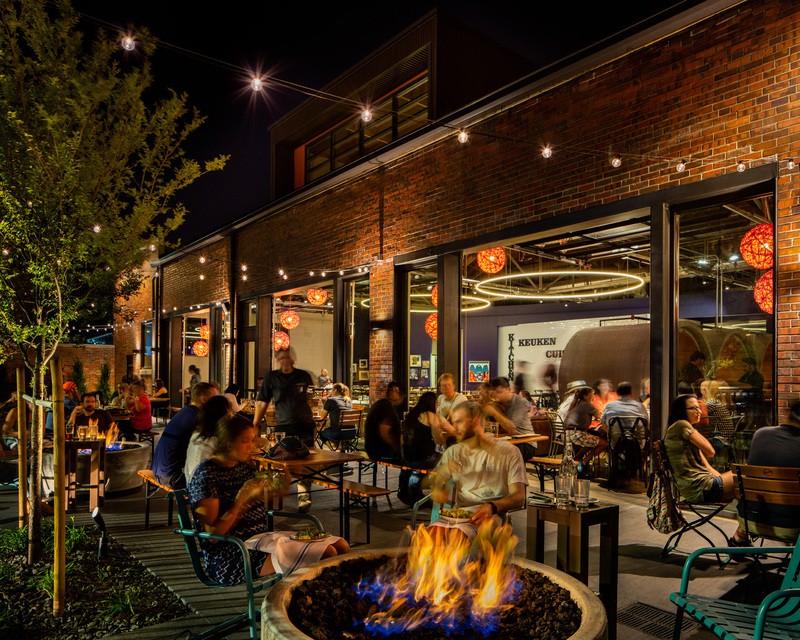 Denver’s River North (RiNo) Arts District is a thriving, creative neighborhood just northeast of downtown Denver. 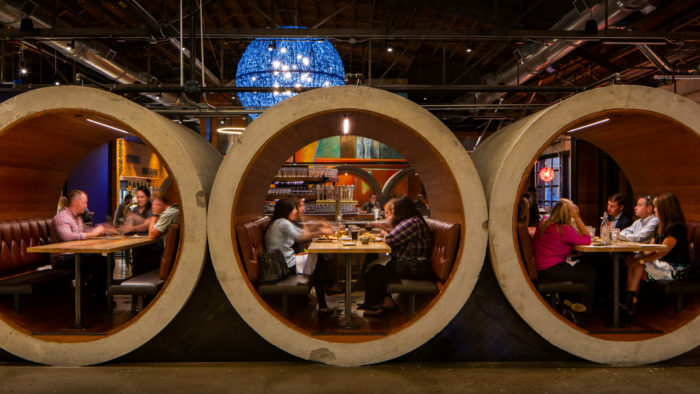 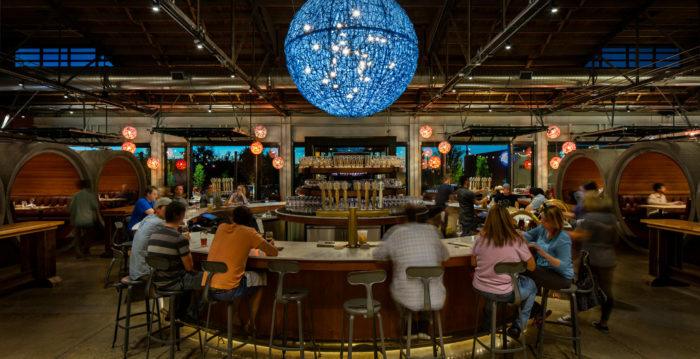 RiNo houses art studios, galleries, architecture and design firms, restaurants and entertainment venues. It’s also the home of a fervent craft beer scene and is home to numerous craft and commercial breweries. 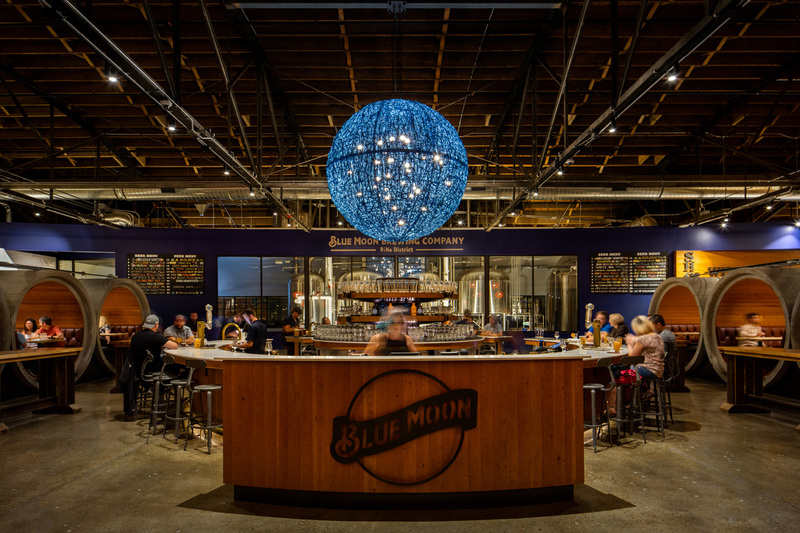 Though over 20 years old and born in the SandLot in the basement of Coors Field, Blue Moon Brewery had never really found a place to call home in Denver. 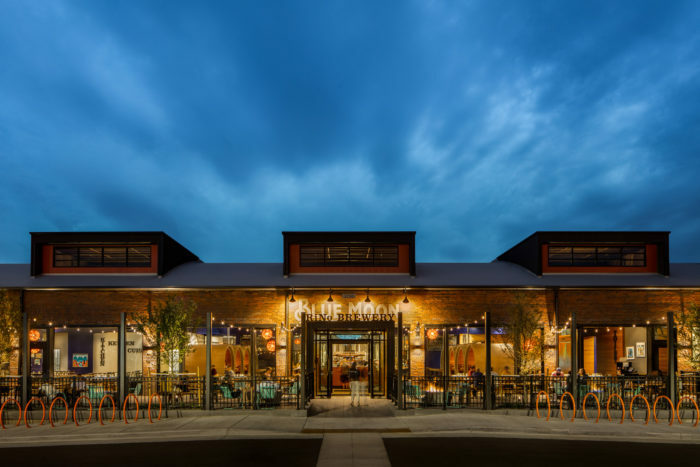 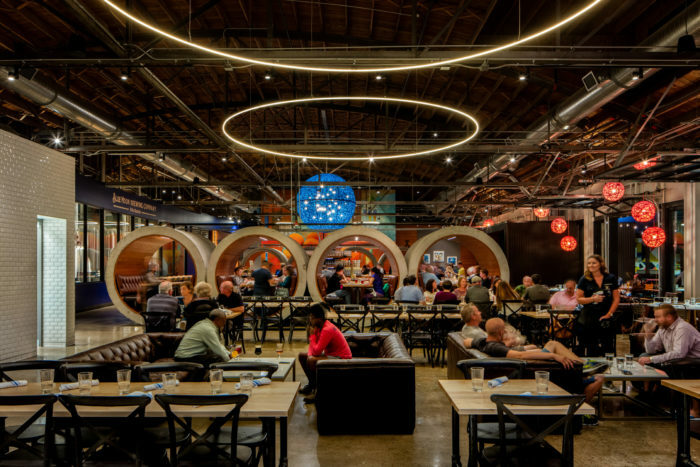 To help expand their business and showcase their products, Blue Moon renovated a 60-year-old warehouse in RiNo to house a new brewery and restaurant. The brewery features a brew house capable of an annual capacity of 10,000 barrels as well as a pilot system for test beers. 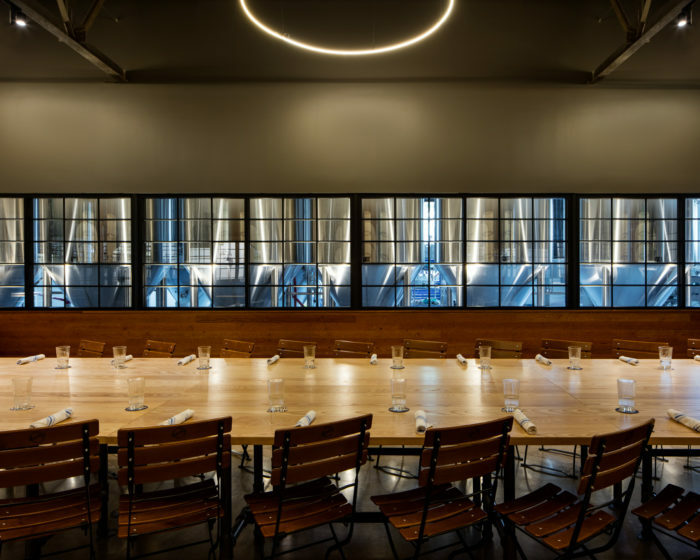 The new restaurant and bar seats around 400 people, and includes a western-facing beer garden patio and a special events room. 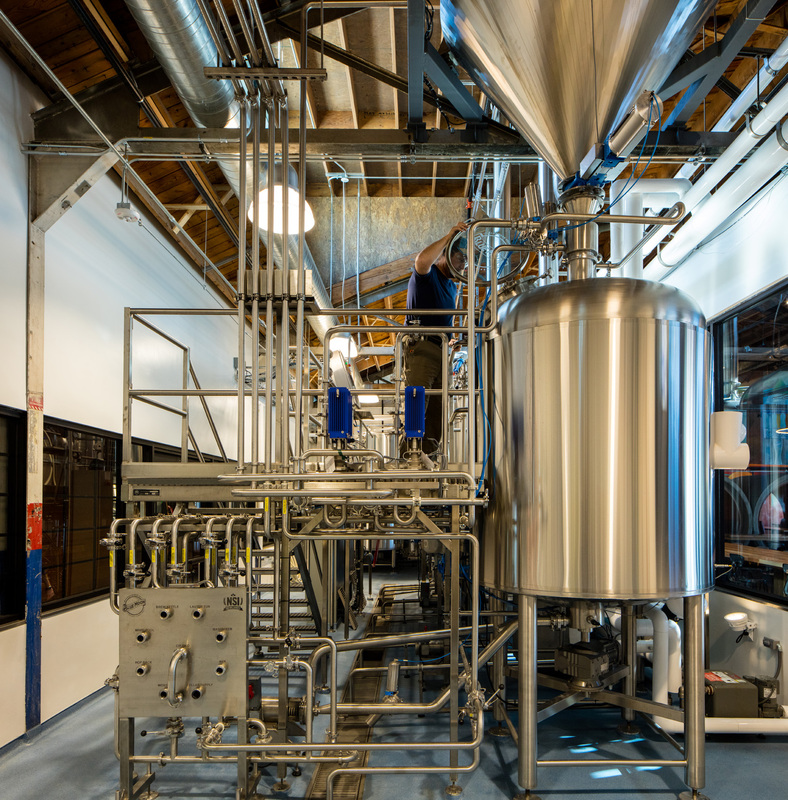 Visitors of the brewery can take a self-guided tour anytime. The location also features a VIP room designed with the SandLot in mind, bringing Blue Moon full circle from its birth at Coors Field. 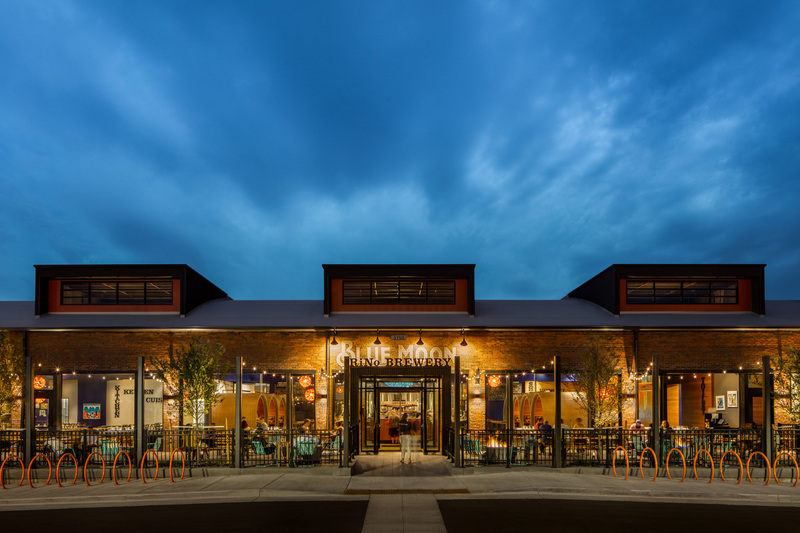 Received a 2016 Silver AGC of Colorado Award for Best Building Project Under $10 Million.